Hold on the the elastic band of your sweatpants because here comes another YA book about a dystopian society! Wait, what is that? I'm the only one that's wearing sweatpants? Huh. So I am. Well then. In this world, people are divided up amongst different factions depending on what they value. 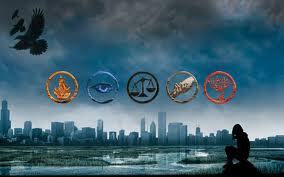 Knowledge, selflessness, honor, bravery; these are all characteristics of different factions. The people live separate from other factions, although the children do go to school together. They wear different clothes and perform different roles within this society. There are also the factionless, who for whatever reason do not fit into any of the prescribed molds. They aren't exactly homeless, but they would definitely be considered lower class and are looked down upon. The year that the children turn 16, they are given an aptitude test to find out where within the system they should belong. It is up to them afterward, where they want to go. If they choose a faction different from where they grew up and where their family is, they must break all ties. Faction before blood is the long-running motto. Our main character is Beatrice, who guess what? Is old enough to be up for the aptitude test at the beginning of the novel. And while her brother is not her twin, Caleb is close enough in age that he will be going through the same process. They have grown up in the faction abnegation, who value selflessness. They dress in grey and live simplified lives, eating plain food and keeping quiet. You might think that it's a spoiler to tell you that Beatrice doesn't stay in her faction. But really? What kind of book would it be if she decided to stay where she was, got to continue living with her parents, and only having to do a few weeks of community service to become fully initiated into the faction? No, the reader should know that she will choose a different path. So Beatrice, who changes to just be called Tris, switches factions and must undergo initiation to become a part of the new family. Of course it's not easy, and of course she's different from everyone else around her. She is a divergent. But I won't spoil that and tell what that means. I enjoyed this book. It kept me interested throughout. 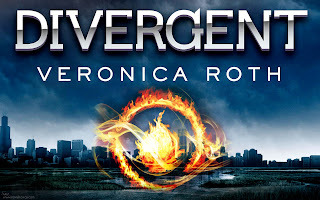 I also enjoyed Veronica Roth's writing style. 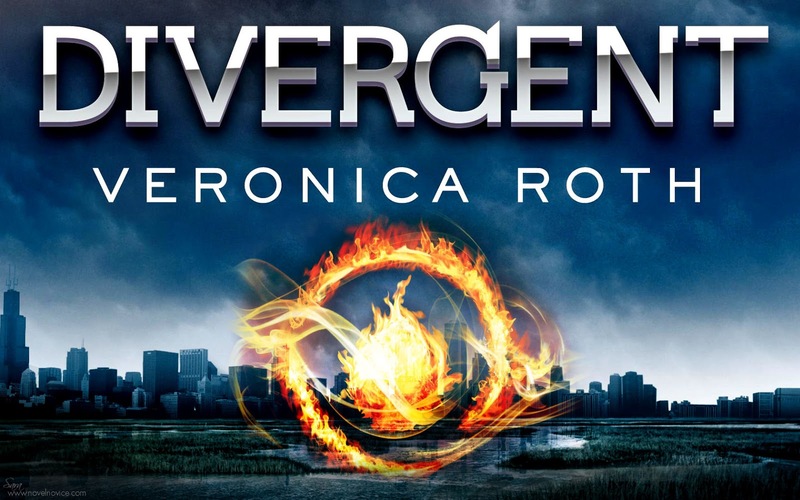 I'm currently reading the second book, Insurgence. And the third book in the trilogy comes out this October. Also, they are making a movie based on the book and are filming it in Chicago. Movie date, Lauren? 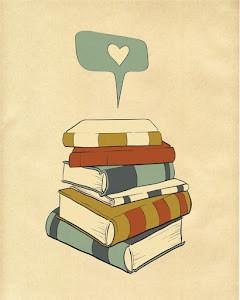 Since it is your books I've been reading, after all! I logged onto my Goodreads account to mark that I had read this book (since my lists in notebook on my phone and iPad seem to keep magically disappearing!) I decided to read a few of the reviews that people had left . Read the first review by Marg K. and see if you don't laugh some. She is definitely more thoughtful about the book than I am. It entertained me. I liked it. But she tore this book apart and it's pretty awesome. It does give spoilers, though, so you might not want to read her thoughts if you are planning on reading the book yourself. I read Marg K's review and between what she said and you said it seemed and under-developed story for being so freaking long. I would have gave up on it. I scanned a few of the other reviews but if you didnt scroll down far enough go back and check out Hannah's review with the cat pictures, seems like she hit the nail on the head. I dont get the obsession with dystopias and I dont get all the YA books either. I MIGHT give Hunger Games a try one day, but honestly Ive got enough stuff I want to read before I would read these types of books. Just bc an idea worked once doesnt mean everyone needs to give it a try. Oh my, how did I miss the review by kittens before? That was amazing. I'm actually a bit ashamed now of liking it. 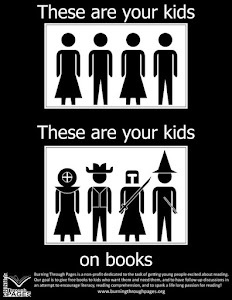 I think the reason that I read so much YA literature is because I really want to write a book in this genre some day. I attempted to in November during NaNoWriMo but only got like 50 pages in and I haven't looked at it since. And from what I've read of existing YA authors, mine was WAY too racy anyhow. I read Hunger Games a few years ago and I did really like it. But you shouldn't feel pressured to read something. If you don't want to read it - don't! It's your time and you should read what you REALLY want first before taking recommendations from other people. I'm pretty sure we have different tastes in reading material anyhow. And that's ok.